VLCC Rose Water Toner is not simply a fragrant liquid, it is a natural toner that helps to maintain your skin's pH balance, fight acne, hydrate, reinvigorate and moisturize the skin, and make it smooth. 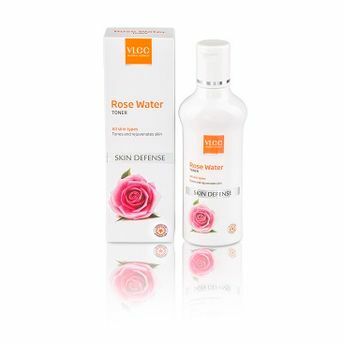 VLCC refreshing Rose Water skin toner acts as a cooling and purifying agent. It tones, nourishes and balances the skin. Explore the entire range of Toners & Mists available on Nykaa. Shop more VLCC products here.You can browse through the complete world of VLCC Toners & Mists .